Sweet and low! 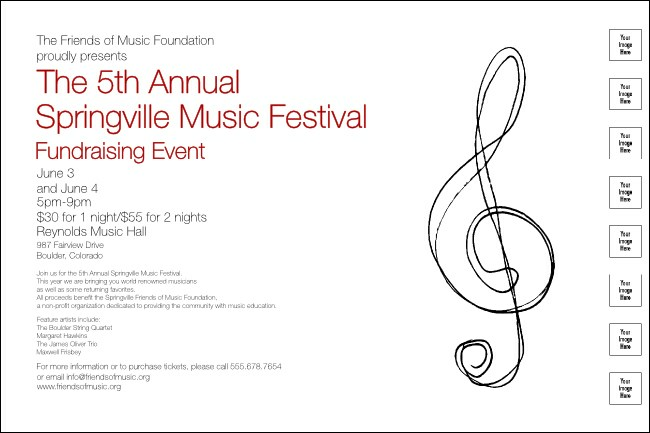 Make a well-tempered statement about your upcoming music festival with the black, red and white Music Festival Poster. Announce the event and add band logos, musician head shots, or sponsor designs to the template with a black treble clef image on a white background. Sing your message out with big posters from TicketPrinting.com.